Our revived school mascot who is here to stay! In the early years of Wissahickon, there was a schoolwide vote to select a mascot. Students made a long list of suggestions for our mascot--Monarchs, Cougars, that continuous "S" shape that kids used to doodle, and more. When all the votes were tallied, the Red Fox was the victor. 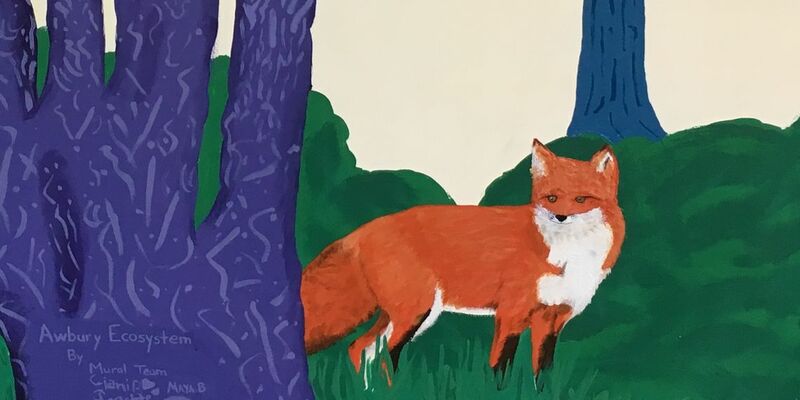 Over the years, the Fox would appear every so often--for example, we once had a kindergarten running club called the Flying Foxes. They were very fast and very cute. Eventually the students who selected the Red Fox graduated and the mascot largely faded from our consciousness...until we opened the new Awbury campus in 2014. Soon after we opened the Awbury campus, we began to notice a Red Fox who lived behind the fence that ran along the play yard. Some of the old timer staff remembered the mascot and it was reborn. The Red Fox is back and here to stay this time! Go Red Foxes!